A group of Penrith teachers will be taking to the stage in April, performing in the Penrith Musical Comedy Company production of ‘Seussical The Musical’. ‘Seussical’, which is based on the works of children’s author Dr Seuss, has drawn a number of local teachers to its cast, giving them the task to entertain away from the classroom and on the big stage instead. 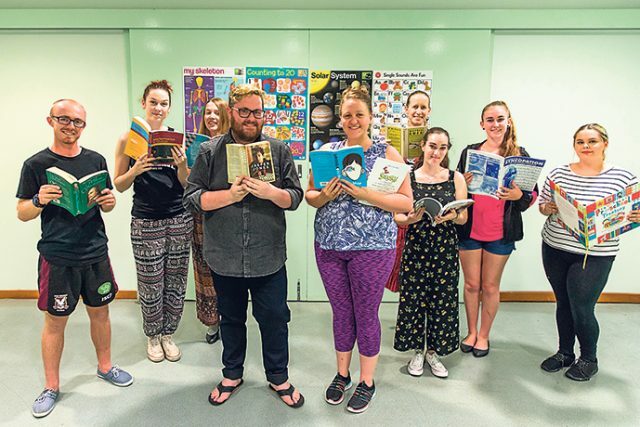 Daniel Conway, who is an English teacher at McCarthy Catholic College in Emu Plains, is playing the lead role of Horton, an elephant who discovers that a tiny speck of dust is actually a planet called Who. He strives to save the planet from destruction, despite no one believing his claim that tiny people live on the dust speck. “Teaching is performance,” Daniel said. One of his fellow teachers and co-stars, Fiona Brennan agrees. “Teaching and performing are often quite synonymous,” she said. With a cast of nearly 100, the team of Bek Want and Brenden Neaton are driving the show. “Brenden and I both have the same visions for this show, and we have a great team behind us to bring our dream to life,” Bek said. ‘Seussical The Musical’ opens at The Joan in Penrith on Friday and plays until April 21. Tickets can be purchased by calling 4723 7600.